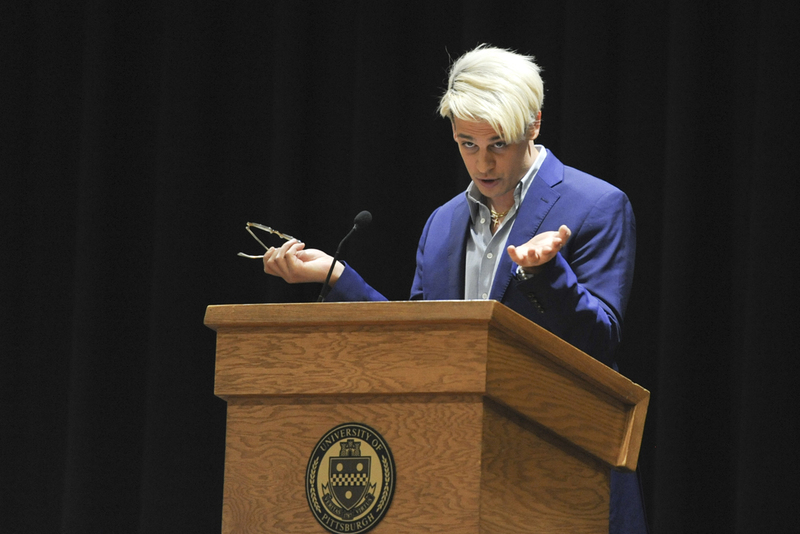 Your editorial “Let Yiannopoulos speak, but don’t engage with him” is troubling. I’m puzzled that a group of journalists could think the way to beat Milo Yiannopoulos is to ignore him. Is that also how the editors recommend addressing systematic gender violence or racism in our communities? Will The Pitt News journalists continue to cover these important issues, or do they think it is a better practice to ignore them? I appreciate you calling Yiannopoulos a “downright bigot.” But he is more than that, more than hateful rhetoric. Are the editors aware that Yiannopoulos uses his speaking platform to “doxx” specific members of the communities he visits? At the University of California, Berkeley, he had planned use his speaking platform to publicly reveal the identities of minority and undocumented students — their names, locations and contact information — jeopardizing their personal and legal safety. Thankfully, the Berkeley community did not allow this to happen. Ensuring their safety came at quite a cost — the editorial cites an estimate of $100,000 in property damage to businesses in Berkeley. But only Yiannopoulos could argue that the cost of damaged property could ever outweigh the safety of our friends and neighbors. It’s worth noting that damaging property was a last resort for still a minority of demonstrators, the overwhelming majority of whom demonstrated peacefully. Yes, Yiannopoulos dropped out of college more than once, but that’s very low down on the list of reasons to reject him. Students know it’s wrong to trust or mistrust someone just because they have or lack credentials. It is objectionable that The Pitt News editors argued against Yiannopoulos on this basis. We’d resist even a very well-credentialed person if we knew they were a fascist or a threat. Milo is a fascist and a threat. We don’t need another reason to resist him. Many students will respond by just ignoring Yiannopoulos. That is a good start. Many of us will embrace direct action to revoke his platform. This is also good. It works. Resistance is diverse. The critical difference between “solidarity” on one hand and fascist apologism on the other is the will to recognize that different people will resist in different ways. You refer to Patrick Young. Patrick speaks for himself, of course. And many of us agree with him. Maybe that is all you really wanted to say.